The ads have been conceptualized by Taproot Dentsu and were executed by Oink Films. As per recent media reports, WhatsApp is believed to face tremendous pressure from the Government of India to take steps towards curbing fake news and rumour mongering on its platform. 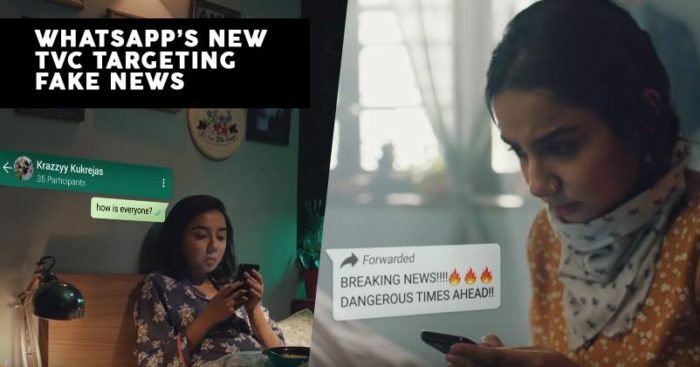 To address this issue, WhatsApp introduced a new set of features like labeling the forwarded messages as ‘forwarded’ and limiting the forwards to just 5 people at one time. The company says that ‘Share Joy, Not Rumours’ is a step towards educating people and not just a brand campaign. 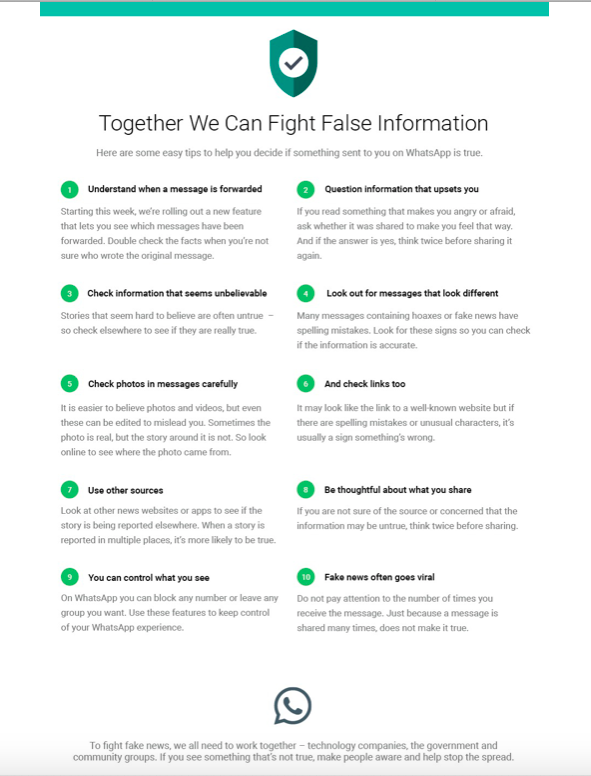 WhatsApp released full-page print ads in many national newspapers. The ads were a simple list of dos and don’ts for the users to understand the platform. This was followed by ads on the radio which conveyed an almost similar message to the audience. It started off with ‘WhatsApp aur aap, milkar mitaaye afwaho ka bazaar,’ and the 30-second-long broadcast ended with “WhatsApp dwaara janhit me zaari” – like any other public service advertising. Only this time, it was WhatsApp and not the Government of India. The three TVCs are heavily woven around the Indian audience. Two of them are focused on Indian households whereas one focuses on the young college goers. While the ads focus on the benefits of the platform, but they also highlight the don’ts.